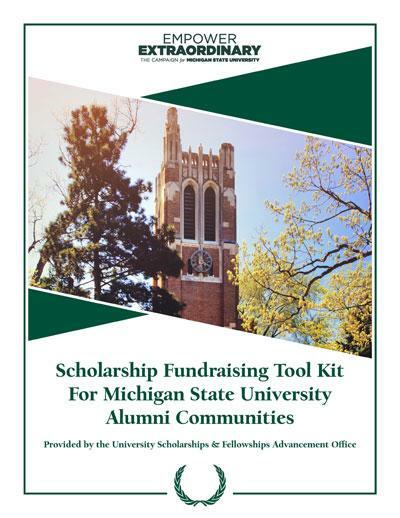 The following resources are available for your use. 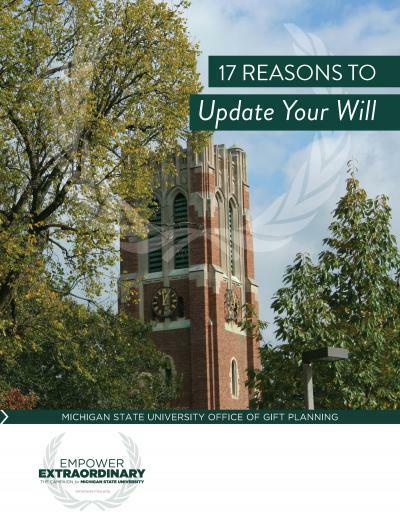 If you have any questions about the content in these pages, please email answers@supportforstudents.msu.edu or call (517) 432-7345. 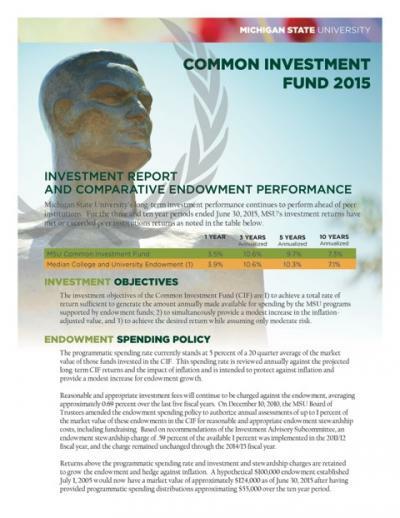 The 2015 Common Investment Fund report, provided by University Advancement. 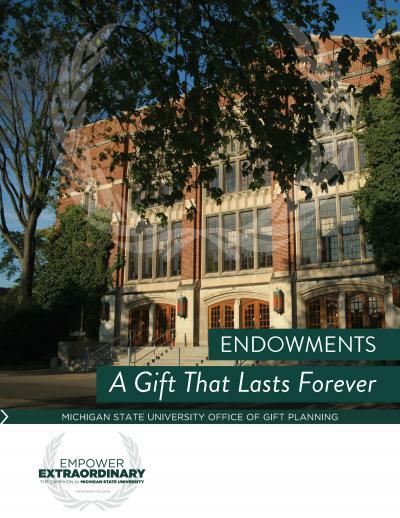 This website includes information about financial aid (including loans, grants & scholarships) for undergraduate and graduate students at Michigan State University.